Sterile 3M Sodium Acetate solution, pH adjusted to 5.2 with glacial acetic acid. pH: 5.2 ± 0.05 at 25 ºC. 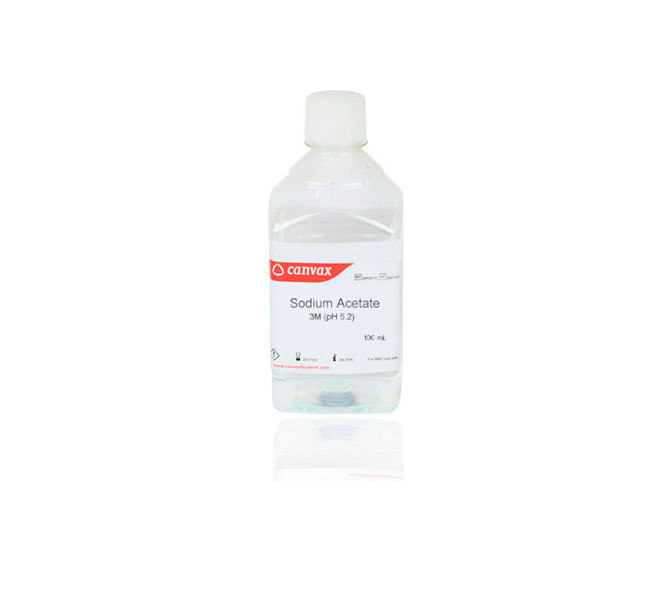 Ideal for a wide range of Molecular Biology applications. Strict quality controls in every phase of manufacturing to guarantee the highest quality and reproducibility. Storage: Store the product in a dry place at Room Temperature.